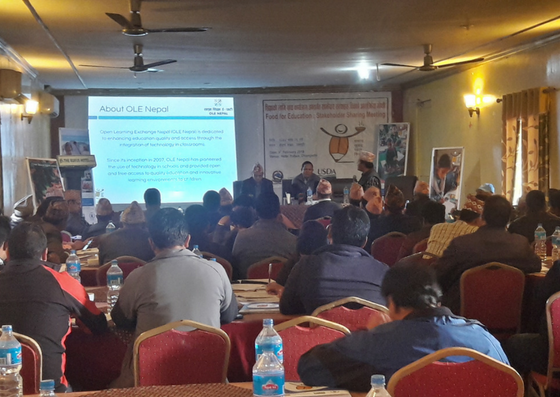 OLE Nepal participated in the Food for Education stakeholder sharing meeting organized by WFP Nepal on February 2 at Hotel Himalaya, Lalitpur. 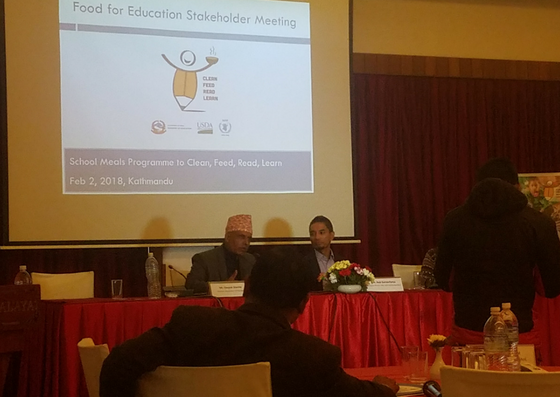 The main objectives of the meeting were to share the learning from the holistic meal program in Nepal, which brings together early reading interventions and digital learning materials, as well as WASH activities for awareness raising and improving education, child development, nutrition and health status of school students. Besides, the objectives were to share the key achievements and lessons learned from the last project cycle (2015-2017) and upcoming program direction and goals for new project cycle (2018-21). Following the brief presentation by WFP, panel presentations were held under different thematic groups: School Meal as investment in Education, WASH in schools, and early grade reading. 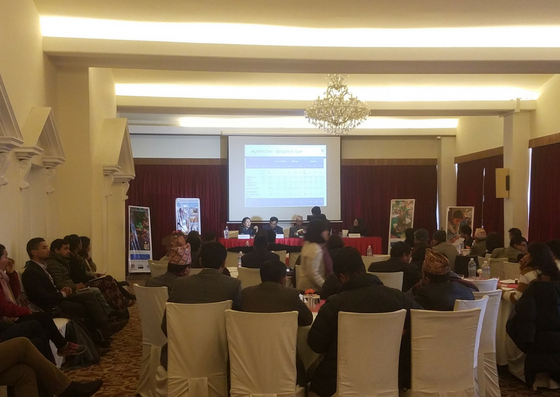 The panel presentations focused on the overall program activities; implementation procedures; key challenges; and achievements of its partner organizations’ programs that are implemented in coordination with WFP Nepal. 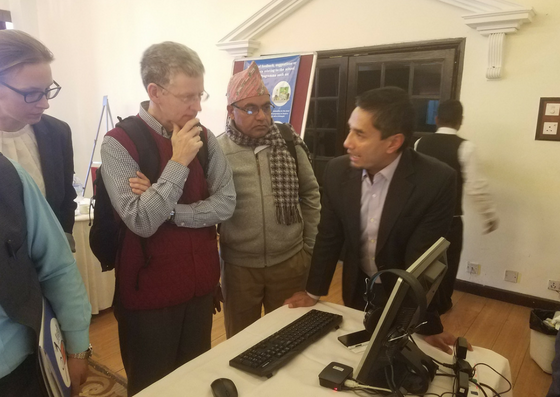 Mr. Rabi Karmacharya briefly presented the overall program activities and achievements of OLE Nepal from the last project cycle and program extension plan in Darchula in the year 2018. 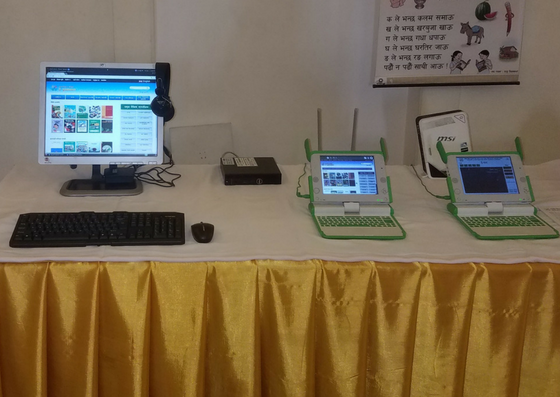 He mentioned that the program was directly able to increase learning opportunities through its quality learning resources at the schools and increase the students’ learning. Comparison of students’ annual learning outcomes in the baseline and midline survey showed that there has been significant improvement in students’ learning performance at the schools. Apart from this, he also shared that the program was able to mobilize community resources and local level government bodies for the sustainable implementation of program. Similar program was also conducted for sub national level at Dhangadi on February 9. Stakeholders of School Meal Program from all 11 districts participated in the meeting. Mr. Tika Raj Karki from OLE Nepal presented the program activities conducted in Far-western districts in collaboration with WFP. Besides, he also highlighted the collaboration of organization with DoE at central level. Overall, both the programs were good opportunity for all the stakeholders to discuss and act collaboratively to improve the holistic development of children at the schools.